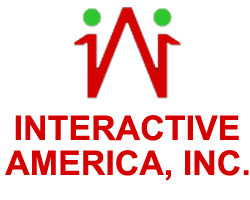 What We Do - Interactive America, Inc.
No need is too small and no voice is too quiet to be heard. We will devote the time and energy necessary to educate and advocate. More people volunteer for us each year and make the difference in the lives of thousands. Find out how to become our partner. Our Community Technology Training Center in Brooklyn recently got the attention of national media. Learn more about this page-turner. MY FIRST TASK WAS SERVICE TO MY COUNTRY, THE NEXT WAS SERVICE TO HUMANITY! Interactive Became My Reason Why. Here I Can Apply My Abilities In A New Way, Being Creative While Contributing To Society. 1998 - Gerald Walker Founded Brooklyn Interactive a certified Microsoft training center in Crown Hights Brooklyn New York and his life changes forever. 2001 - Name Change to Interactive America, Inc. First city contract to train district 8 school principals to use Microsoft Office through community information technology training. 2011 - Gerald Walker recognized as one of the top IT Consultants in the nation. Interactive America, Inc. grows to provide community development services in countries worldwide. 2015 - Interactive America is getting involved in community development with properties to rehab in Detroit.